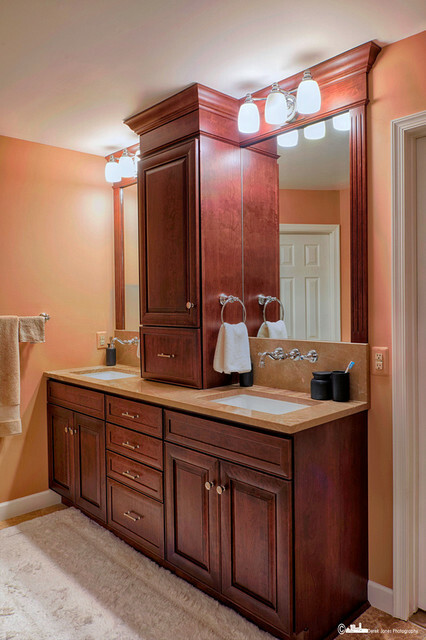 The cabinetry in this Master Bath was in a warm rich Cherry. We mounted the faucets in the backsplash to eliminate having to clean around the faucets! Take your cabinets to the ceiling for added height! vanity layout w/cabinet in between sinks?